As the Baptist Messenger prepares to celebrate its 100th anniversary in 2012, the publisher and editorial staff announced the availability of Messenger Digital, a fully digital edition of the printed publication. Why launch the digital version now? With the arrival of smart phones and tablet computers, it only makes sense to harness the latest technology to deliver our product. Effective November 2011, Messenger Digital is available at baptistmessenger.com, in the Apple Store and through your email address. How does it work? The Messenger Digital will include the same great content as the printed Messenger. Yet the digital version has additional features, such as a powerful search engine and social media sharing capabilities. It is viewable on laptops, desktops, tablet computers and smart phones, in a very user-friendly option. How do I get it? The digital edition can be emailed to subscribers (for whom the Messenger has email addresses on file) each week. 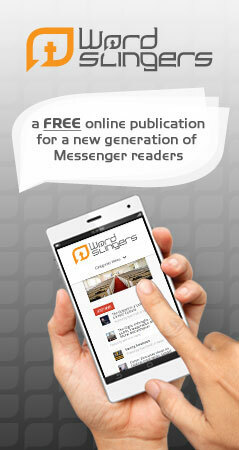 In addition, subscribers may visit baptistmessenger.com to download the latest version. If you are an iPhone , iPad or Android user, search for “Messenger Mobile” in the Apple or Google stores. How much does it cost? The Messenger Digital is available at no additional charge to individual and church group subscribers. If you are a current subscriber, the Messenger office will need your email address (please send your name, email and home church to [email protected]). If you are not a subscriber, but would like to subscribe, visit baptistmessenger.com/subscribe today, or call 405/942-3800. Will this replace the print edition? No. The digital comes as an addition to, not in replacement of, the print edition. In fact, The Messenger staff is seeking to strengthen its print edition in a variety of ways, including introducing news racks at select, strategic locations in Oklahoma City, Tulsa, Broken Arrow and eventually other communities. Brian is editor of The Baptist Messenger. View more articles by Brian Hobbs.